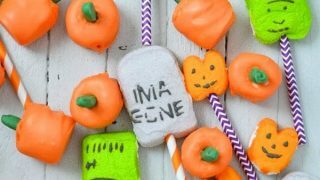 These fun pumpkin marshmallow pops are perfect for Fall or Halloween Parties or even Thanksgiving. 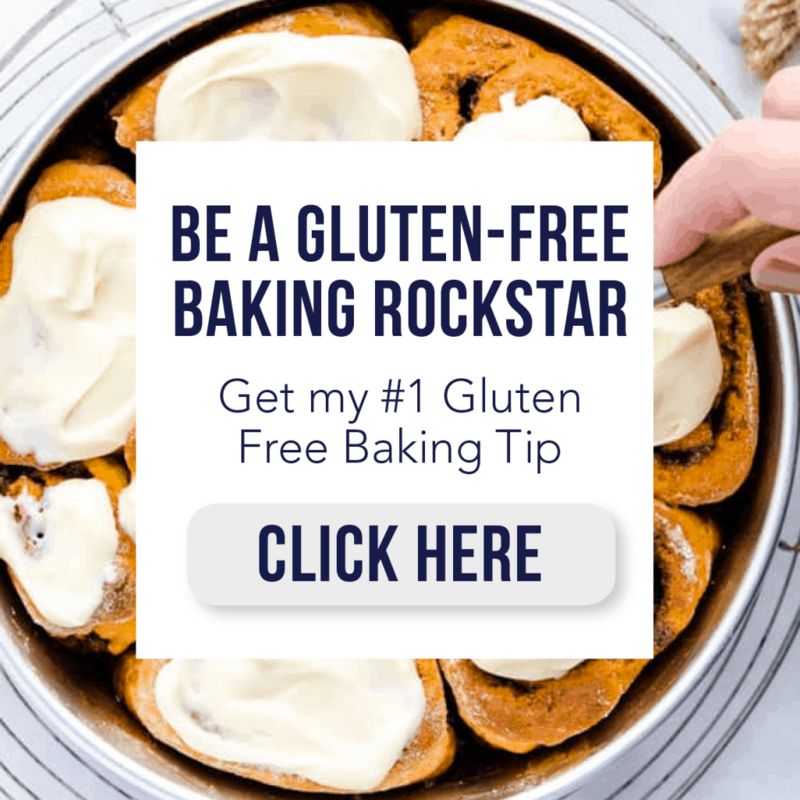 They’re cute, festive, and easy to make! 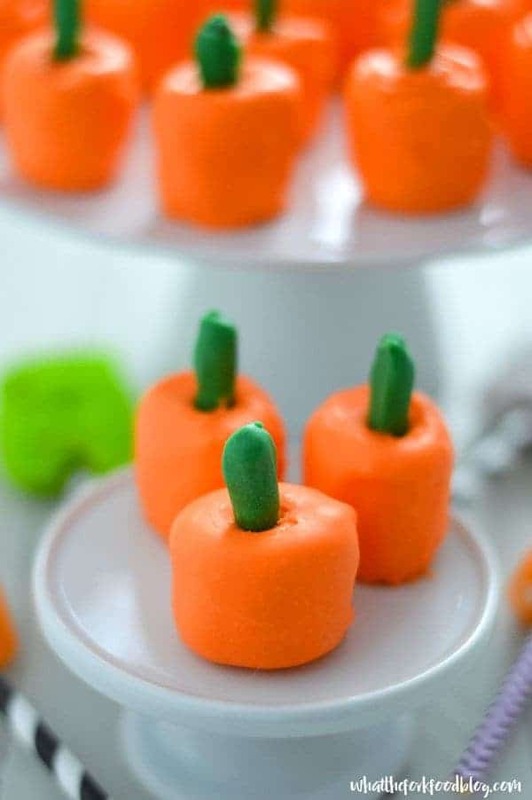 Seriously, how cute are these pumpkin marshmallow pops? 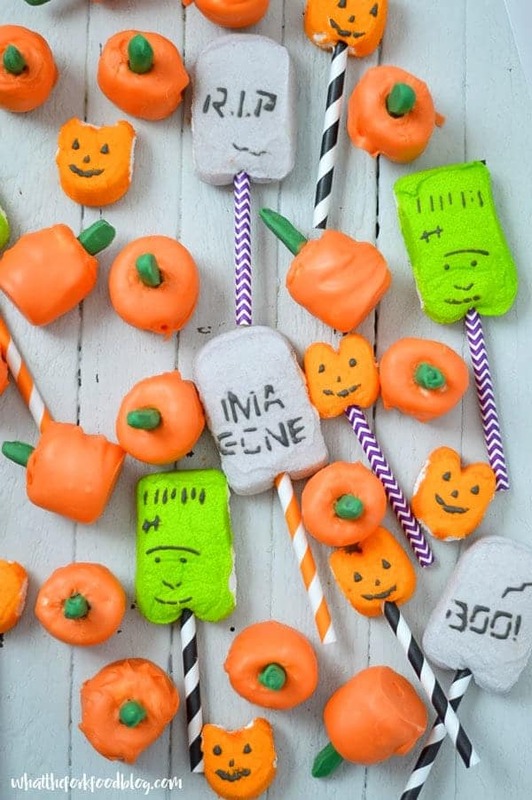 They’re sure to be the hit of any fall festival or Halloween party you throw. Not only are they cute, but they’re pretty easy to make, it just takes a bit of time from dipping and chilling. But they only require three to make these: marshmallows, pretzel sticks, and colored candy melts. That’s it! They’re not at all complicated to make either. Melt your green candy melts and then dip your pretzel sticks into them, most of the way but they don’t have to be completely coated since you’re sticking them into the marshmallows. Once the green chocolate has hardened up (I usually speed this process up by sticking them in the freezer for 10 minutes), they’re ready for the marshmallows. I experimented dipping these a couple of ways. First, I tried adding the “stem” and then dipping into the orange candy melts. That worked ok but was a little sloppy. I had to use a spoon to help coat the top so it did give a nice bumpy little texture to the pumpkin. What I found to work the best was using lollipop sticks (that I usually use for homemade chocolate pops, cake pops, etc.). Dipping them into the orange candy melts first and then sticking it into the marshmallow worked well for a couple of reasons. The excess orange chocolate on the lollipop stick was forced back out of the top, which helped coat the top of the marshmallow. The coating on the stick also made it easier to remove the stick from the marshmallow, it acted as a buffer from the stickiness so I was able to use a second lollipop stick to help slide it off without an issue. Trust me, it sounds much more complicated than it is. Once you’re elbow deep in colored candy melts you’ll see what I mean. If you want to add sprinkles or sugar, do that immediately after dipping before the candy coating starts to harden. Once it sets, it won’t stick and they will start to set quicker than you think. By the time you’re done dipping, the ones you dipped first will already be set. Once they’re dipped, you can easily push the stems in. If you want shorter stems, just break the pretzel to the desired height. While I was browsing at Target, aka my happy place, I came across some Halloween Peeps. I thought it would be fun to turn a few of those into pops to serve with my homemade pumpkin marshmallow pops. Of course, my kids went for the green Frankenstein’s which took no work to make…ugh. I however, prefer my cute little pumpkins. They’re way tastier. 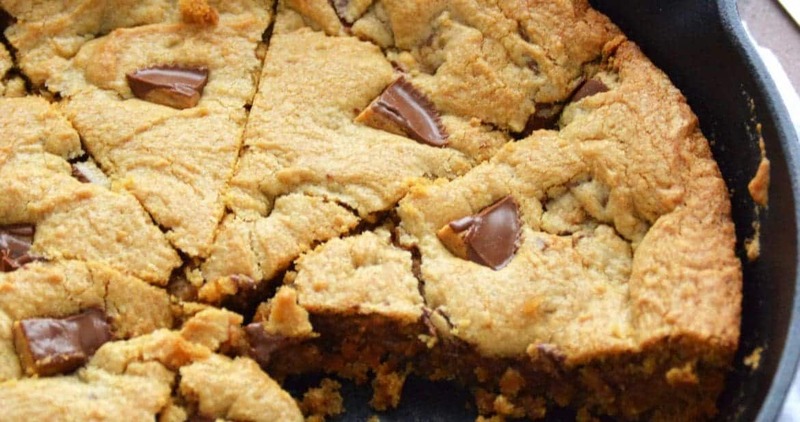 These are oozing with that delicious salty sweet combo from the chocolate, marshmallows, and pretzels. They’re pretty much addicting. Picking these cuties up by their little stem and popping them into your mouth will happen way more often than you’d care to admit. Enjoy! Line a baking sheet with wax paper and set aside. Add the green candy melts to a microwave safe bowl and melt according to package directions. Dip each pretzel stick in the melted green chocolate, you don’t have to dip the entire thing. Place each dipped pretzel stick on the prepared baking sheet. Place in the refrigerator or freezer until firm, about 10 minutes. When the pretzels have hardened, cover a baking sheet with wax paper and then melt the orange candy melts in a microwave safe bowl. Dip a lollipop stick (or an extra pretzel stick) into the orange candy melts (coat it with a decent amount of chocolate) and stick it into a marshmallow. Use the stick to dip the marshmallow in the orange chocolate and cover it completely (use a spoon to help coat the top if necessary). 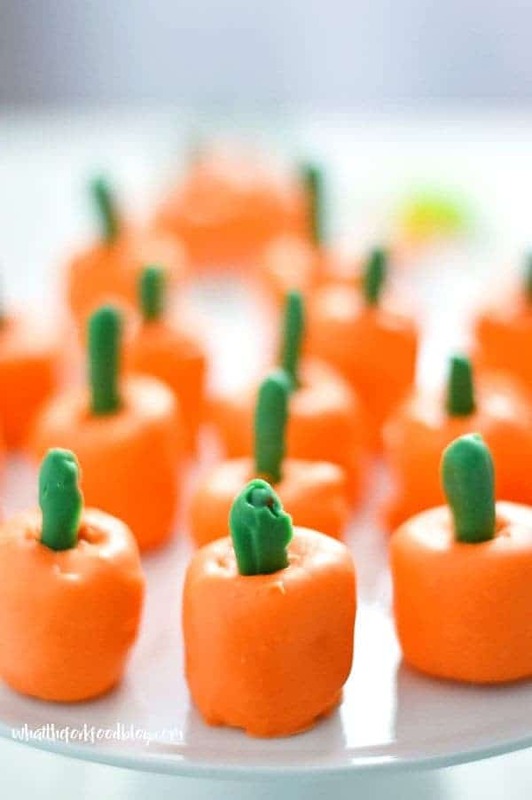 Use a second stick to help slide the marshmallow off onto the wax paper then stick one green chocolate coated pretzel stick into the marshmallow so it looks like a pumpkin. Repeat for all remaining marshmallows. Refrigerate until the chocolate is completely set. 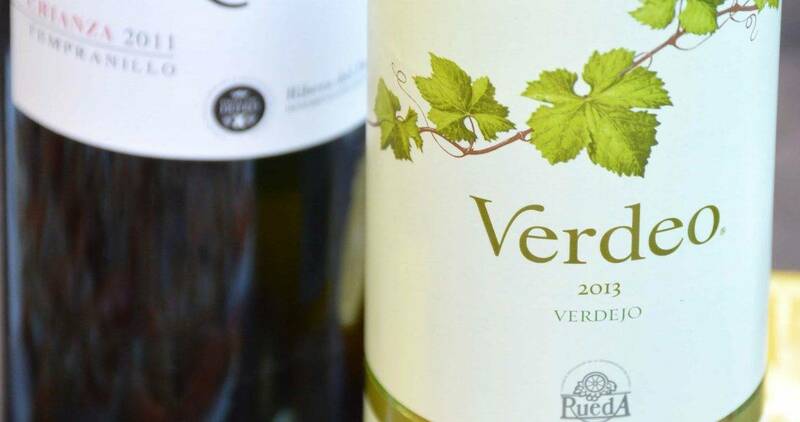 Can be stored in the refrigerator or at room temperature. 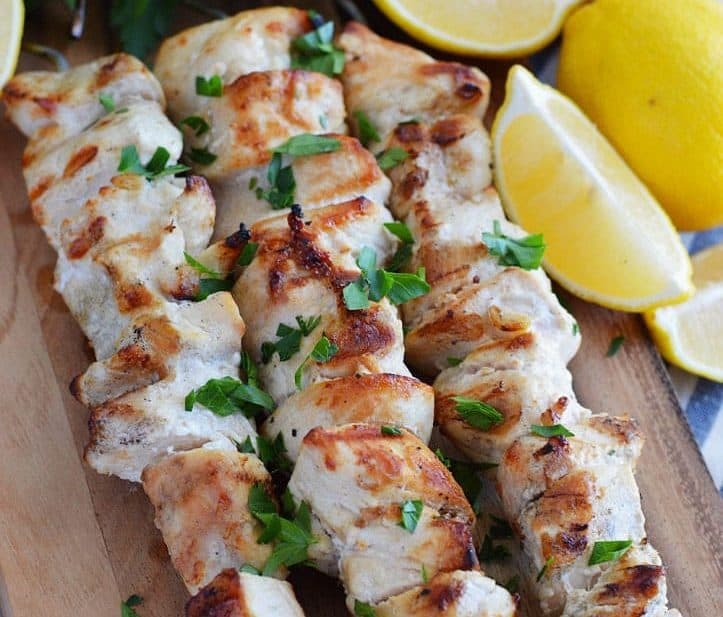 This recipe can also be found on The Weary Chef where I am a regular contributor. OK, these pops are absolutely PRECIOUS! I can see kids going crazy over these sweet and salty pops this Halloween! Such a cute idea. Candy melts are so much for to work with! Those are so cute, my kids would be all over these! Sharon, these are so cute! I’ve got to make them for Halloween. Okay these are super cute! And they sound so easy! I love fall food! These would be so fun to bring to a Halloween party! Just too stinkin’ adorable! How fun for a party! so sweet! My kids would love these!